Just Property is a keystone real estate company that occupies a sizable percentage of the property market in South Africa. Despite the challenging residential property market, we have presented growth and success.As a main player in the real estate industry, we offer friendly professional services towards sales and rentals of the residential sector as well as the commercial or industrial sectors. Whether you have a property for sale in South Africa or simply want to find a responsible tenant, our team will always have your best interest in mind. As a proprietor, you will have the benefit of a stress free experience while your property is being taken care of by very capable hands. For those of you who are looking to purchase or find properties to rent, our accomplished real estate agents will surely find the perfect property that is best suited for your needs. Just Property will satisfy all of your real estate needs. Whether it’s sales or rentals and regardless of the property types. Let us take care of YOU.Our qualified real estate agents are ready to service you. Call us today for a FREE evaluation for your property. 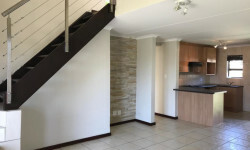 Fourways is situated in Sandton, Johannesburg, a fast developing commercial and residential hub. Fourways is a continuous hustle and bustle of activity. There is always something going on and Fourways boasts a large number of attractions as well as activities for all different preferences. Some of the main attractions in Fourways are The Fourways Mall, Montecasino and the Fourways Crossing. Situated in the heart of one of Johannesburg's most prestigious suburbs, The Fourways Mall has accommodated, entertained and delivered for over a decade continuing to welcome guests from both near and far. This spectacular mall is the first of the large malls in the area and any shoppers delight. It offers a unique and exciting shopping experience to the community and tourists in one. In addition, with extended trading hours and over 170 excellent stores, shoppers can enjoy a fabulous shopping experience. Free parking and 24 hour security allow customers to shop, browse, enjoy a refreshing cup of coffee or dine in a relaxed and tranquil environment at any one of the numerous restaurants and coffee shops. Fourways Crossing is a "factory mall" style complex. The centre is 9 years old and boasts a size of over 47, 000 m². Designed on 3 levels with 3 levels of parking, the centre is an open-air centre anchored by the Pick ‘n Pay. It is also home to the worlds largest travel shop, Pick ‘n Pay's all new management and staff training institute and one of the largest sporting goods warehouse in the Southern Hemisphere! The balance of the centre is made up of approximately 95 shops. Tenant mix is rather varied to suit all preferences and is very upmarket. Montecasino is Gauteng's premier entertainment destination. The R1.4 billion gaming, retail and leisure complex is the flagship development of Tsogo Sun. Once can spend an evening with the high-rollers in the casino, take in the majestic beauty of their feathered friends in the Montecasino Bird Gardens, spend the day in play with fun for the whole family, watch a movie or a show, shop till you drop, have a great night out or simply enjoy a quiet meal in one of their many restaurants and coffee shops. It's definitely the place to be! For those who prefer to be outdoors amongst nature, there is a diversity of thrilling and entertaining activities all set in spectacular surroundings. These include abseiling, river rafting, canoeing, horse riding, bird watching, fishing, golfing and so much more. There is something here for everyone.